Drinking water to at least three (3) properties in Lenox Township, Susquehanna County, Pennsylvania suffered methane gas pollution due to faulty drilling procedures by Cabot Natural Gas according to DEP officials. The water pollution violations occurred in September, 2011. DEP failed to post the violations as required by law. DEP officials noted failure to post was an “oversight”. Meanwhile, Cabot is supplying fresh water to the affected properties and is trying to correct the problems. Water contamination at or near natural gas drilling rig sites has been a primary issue with environmental groups overseeing natural gas development in the Marcellus Shale drilling regions of Northeastern and Central Pennsylvania. 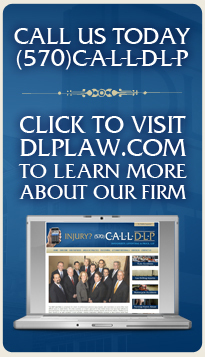 The thirteen (13) personal injury lawyers at Dougherty Leventhal Price LLP–DLP–PENNSYLVANIA TRUCK ACCIDENT, DRILLING RIG ACCIDENT AND CATASTROPHIC INJURY LAWYERS–continue to follow this and other natural gas drilling issues in Tioga, Susquehanna, Bradford, Lycoming, Sullivan, Susquehanna, and Wyoming Counties Pennsylvania. The Philadelphia Inquirer today reports on issues outstanding over disposal of fracking waste water/liquids following earthquakes at a waste disposal deep well site near Youngstown Ohio. The fracking drilling process in the Marcellus shale region of Pennsylvania creates significant liquid waste containing many pollutants. Originally processed and released into Pennsylvania streams and rivers, the waste is now either recycled–the preferred method according to gas industry leaders—or trucked to deep well disposal sites mostly in Ohio. Environmental critics are citing the Youngstown earthquakes as another example of unregulated drilling and disposal of hazardous waste. Industry insiders note that there are hundreds of deep well disposal sites, and the Youngstown site earthquakes are unusual events and not the norm. The thirteen (13) lawyers at Dougherty Leventhal Price LLP-DLP–PENNSYLVANIA CATASTROPHIC ACCIDENT/INJURY LAWYERS–continue to follow this and other isuues affecting the Marcellus Shale natural gas drilling regions of Northeastern and Central Pennsylvania. DLP has been hired recently to handle gas truck accidents, quarry explosion accident,, fracking pump explosion accident and auto/gas truck accidents in Tioga, Susquehanna, Wyoming and Bradford Counties, Pennsylvania. A federal judge has denied a motion by Cabot Oil and Gas Corporation to dismiss a case brought by Dimock Township residents two years ago. The residents claim their water, health, and property was damaged by the Pennsylvania natural gas driller. Cabot motioned to have a federal judge throw out the case brought by over 60 residents of the Susquehanna County township. The gas company has argued that the families failed to establish a legal basis for the law suit against them. Last month, the Pennsylvania Department of Environmental Protection said Cabot could stop delivery of clean water by November 30. This was outlined in a December 2010 settlement between the DEP and Cabot. Fund escrow accounts with twice the tax-assessed value of each of the 19 affected Susquehanna County homes. However, this settlement did not require the company to restore the water to its pre-drilling quality. Now Dimock Township residents are making last-minute push to prolong the water deliveries from Cabot. In a recent petition for an injunction, the families state the department’s settlement terms ignored state law, which requires drillers to permanently restore or replace water supplies contaminated by their operations. Cabot is denying contamination was caused by their drilling activities. Their argument is that the appeal came too late from the Dimock residents. Cabot is also claiming their well water is safe to drink and even if it were not, the Dimock residents could get their own fresh water delivered “at modest cost” or collect it from a local well in Montrose. Filed almost two years ago in November of 2009, the Susquehanna County residents of Dimock, Pennsylvania claimed Cabot Oil and Gas’s drilling activities introduced methane and other toxins into their properties and drinking water, causing illness, property damage, fear of future sickness and emotional distress. Pennsylvania courts have not directly addressed whether gas drilling is an “abnormally dangerous” activity that fits the strict liability standard. There are no unleased acres left in Pennsylvania’s state forests where Marcellus Shale natural gas drilling sites, pipelines and access roads could be built without damaging environmentally sensitive areas, according to a new analysis by the Department of Conservation and Natural Resources. Nearly 139,000 acres of state forest have been leased for gas drilling since 2008 and money from those lucrative leases – a total of $354 million – has been used to help balance the last two state budgets. But DCNR Secretary John Quigley said the era of leasing large parcels of state forests for gas drilling is over. The department’s findings, demonstrated in a series of overlain maps on DCNR’s website, show the forests in northcentral Pennsylvania above the gas-rich Marcellus Shale crowded by leased land, parcels where the state does not own the mineral rights and places where development must be restricted. Of the 1.5 million acres of state forest underlain by the shale, 700,000 acres have already been leased or the mineral rights under them are controlled by an owner other than the state. An additional 702,500 acres are in ecologically sensitive areas – places with protected species, forested buffers, old growth or steep slopes. Another 27,500 acres are designated as primitive and remote lands, 49,600 acres were identified through a forest conservation analysis as priority conservation lands, and the last 20,400 acres are so entwined with the other sensitive areas that they cannot be developed without damaging them. The department began to study the limits of the state forest land that can safely be leased to gas drillers as it developed a series of Marcellus gas leases in 2008 and January and May 2010. There are currently about 10 producing Marcellus Shale gas wells in the state forest. The department expects there will be about 6,000 wells on 1,000 separate drilling pads when the resource is fully developed in 15 or 20 years. The secretary said the prime consideration for any future leasing, “if we do any at all,” will be that drilling or associated activities not disturb the forest’s surface – a possibility with horizontal drilling technology that enables drillers to access the mile-deep shale from adjacent properties. The impact of the DCNR’s findings is unclear. Gov. Ed Rendell said earlier this year that no additional forest land will be offered for lease during his tenure, which ends in January, but the department’s findings have no legal bearing on the next administration’s ability to change its forest policy. A bipartisan group of lawmakers in the House passed a three-year moratorium on new leasing of state forest land for gas drilling in May, but the measure has not been taken up by the Republican-led Senate. Patrick Henderson, a spokesman for Sen. Mary Jo White, R-21, Franklin, chairwoman of the Senate Environmental Resources and Energy Committee, said he does not sense “at all” an upswell of support among the members of the Senate to pass it. Mr. Henderson said the department’s findings “carry some weight,” but he said the claim that there is no forest land left for surface gas development is subjective. “I think different people can conclude if there may be some tracts of land out of 1.5 million that lie within the fairway to lease,” he said. A $120 million lease deal DCNR reached with Anadarko Petroleum Corp. in May that is expected to have minimal impact on the state forest’s surface could not have been possible if the House’s moratorium bill had been law, he said. Mr. Quigley was optimistic that if future decisions about forest leasing are left to DCNR, his department’s findings will stand. A provision to require disclosure of all chemicals used in fracturing Marcellus Shale to extract natural gas could wind up as part of the scaled-down national energy bill the U.S. Senate might consider soon. Sen. Bob Casey said he convinced Senate Majority Leader Harry Reid to fold disclosure provisions of his Fracturing Responsibility and Awareness of Chemicals Act into the energy bill. Senate leaders are hoping to pass the bill before the summer recess Aug. 6, after realizing they did not have the votes to pass a more comprehensive energy bill. Even if the smaller energy bill gets through the Senate, the House would have to pass it before President Barack Obama can sign it. Neither is assured. Industry groups said the fracturing chemicals are already well known to the public and state regulators, and further disclosure would harm the development of natural gas. “We fundamentally believe that regulation of hydraulic fracturing is best addressed at the state level, and we have been unable to reach a consensus with congressional advocates on how this program would be overseen by the federal government,” America’s Natural Gas Alliance said in a statement. Congress and the federal Environmental Protection Agency are studying whether the chemicals used in hydraulic fracturing of shale contaminate drinking water. At public meetings on gas drilling, local residents regularly dispute the claim. Though the industry argues the chemicals it uses are well known, a Times-Tribune investigation determined that DEP scientists who analyzed spilled fracturing chemicals at a Susquehanna County well site in September found 10 compounds never disclosed on the drilling contractor’s material safety data sheet. None of the 10 was included in a state Department of Environmental Protection list of chemicals used in fracturing, a list developed by the industry. When DEP posted a new list earlier this month, none of the 10 was on it. Mr. Casey dismissed the industry criticism. Mr. Casey’s legislation would amend the federal Emergency Planning and Community Right-to-Know Act, which requires employers to disclose what hazardous chemicals they use. – Well-drilling operators to disclose to state regulators and the public a list of chemicals used in fracturing, commonly known as fracking. The requirement would cover chemical constituents but not chemical formulas whose manufacturers are allowed by law to keep the formulas secret, according to Mr. Casey’s office. – Disclosure to be specific to each well. – Disclosure of secret formulas or chemical constituents to doctors or nurses treating a contamination victim in an emergency. – An end to thresholds for reporting chemicals normally required by law so all amounts of chemicals are reported. In an analysis of the legislation, Energy In Depth said it would “chill” investment in innovations in fracturing and place “unrealistic burdens” on natural gas producers by requiring them to disclose secret chemical compounds whose composition they legally can know nothing about. In an interview, DEP Secretary John Hanger said he welcomed the federal legislation, argued Pennsylvania already requires more disclosure than his bill and believes companies should disclose the volume and mix of chemicals they use in fracking. Gas drilling incident in western Pennsylvania linked to firm’s corner-cutting tactics. HARRISBURG – Rig workers’ inexcusable failure to use a second set of pressure-control devices while preparing to connect a natural gas well to a pipeline led to the well’s blowout in western Pennsylvania last month, a consultant’s report said Tuesday. State regulators, who hired the consultant, quickly ordered all drilling operators to adhere to a set of safety standards designed to prevent another such incident. “I don’t know any company that would cut corners like this on this kind of well,” said consultant John Vittitow, a Texas-based petroleum engineer. The company, Houston-based EOG Resources Inc., has used this same tactic on other wells in Pennsylvania, Vittitow said. “I don’t think they’ll use it again,” he added. Meanwhile, state Environmental Protection Secretary John Hanger warned that another such incident could mean the end of EOG’s business in Pennsylvania, and insisted state regulations don’t allow EOG’s tactics. EOG and its contractor, C.C. Forbes Co. of Texas, were given maximum fines of more than $400,000 combined and ordered to take corrective actions, but were allowed to resume all activities in Pennsylvania on Tuesday after a 40-day suspension of well-finishing work. EOG operates nearly 300 wells in Pennsylvania. The blowout happened late June 3 on the grounds of a hunting club in Clearfield County where EOG is drilling a number of wells. For 16 hours, explosive gas and briny wastewater shot into the air before specialists brought it under control. Hanger insisted Tuesday that existing regulations do not allow EOG’s tactics because they require companies to obey accepted industry safety standards. Most companies obey those, he said, but a letter sent Tuesday would lay out in detail what is expected of them. Since that time, Smith said, EOG has worked with the DEP to resolve all issues, will implement the new operational procedures outlined in the letter to gas well operators and looks forward to resuming activities. Mundy, D-Kingston, said the incident “reinforces the need to hit the pause button with a moratorium. With this kind of activity, there will always be accidents. Hanger said his agency would redouble its inspection activity with more emphasis on well-finishing work.